Costume includes Dress, Hood and Bootcovers. Available in sizes Small, Medium, and Large. 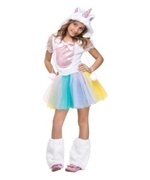 Show off the magical rainbow colors of your Unicorn costume! 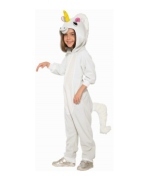 Unicorns are a special breed that only exists in legends and dreams. Release your magic when you wear this magical rainbow unicorn costume! 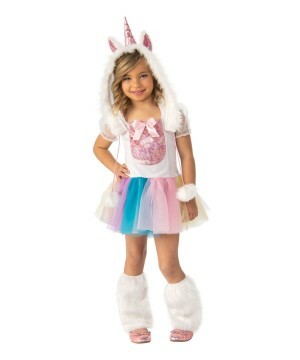 Review(s) for " Girls Magical Rainbow Unicorn Costume"